I was born on 3rd December 1969 and spent my childhood in Lommel. I am married to the beautifull Andrea Ospino. I'm father of two beautiful children, Lindsey and Romy. Because my father was an active billiard player, I was twelve when i first had a cue in my hands. One year later, at the age of 13, I started taking lessons. From that moment on my career took off. Because of many regional and later national victories, I swiftly started to climb the rankings. When I was eighteen years old I promoted to be the Honour Division for the discipline called straight billiards. 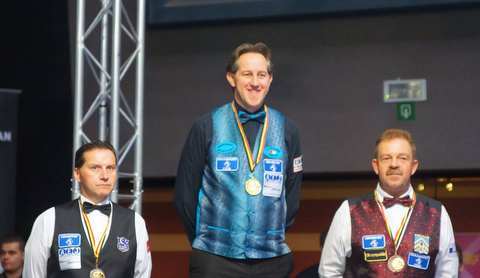 In the four following years I became Honour Division player in all 6 disciplines of billiard, namely; straight billiards, balkline 47/2, balkline 47/1, balkline 71/2, one cushion and three-cushion billiards. 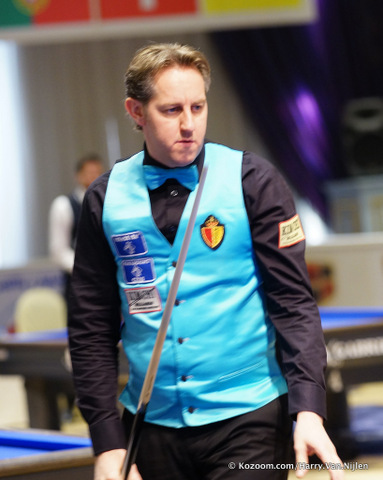 In 1993 I won the Belgian Cup three-cushion billiards. Ever since this is the discipline I practice the most. In December 2005 I opend my biljartshop “Verhoeven Eddy Leppens”, and made my dream a reality: I was able to turn my favourite pastime into my professionl. To check the further progress of my billiard results, you can consult my achievements.